At FS Construction Services, we’re advocates of “doing things right” and believe that a little bit can go a long way. When it comes to engineering your agricultural building, that philosophy holds the utmost importance. In an article from David Bohnoff for Hoard’s Dairyman, agricultural buildings fail in large numbers simply because they are either not engineered or are only partially engineered. We agree. And that’s why we assure you our building practices and experience is our reputation – and something that won’t ever be compromised. As we indicated in a previous blog about our NFBA standards (found here), we look to provide our customers worthwhile – and structurally sound – investment. As Bohnoff indicates, there are multiple aspects that play into the credibility of an engineered building, including the roof’s ability to withstand different loads (wind, snow, severe storms), the topography of the land, as well as the size, shape and orientation of attached or surrounding structures. Each element of the structure needs to work hand-in-hand in order to obtain maximum efficiency and safety. Trusses alone do not support a building. Each component serves a purpose and is essential to withstand the elements previously discussed. Bohnoff is a professional engineer who visits the sites of nonengineered building accidents. He believes the dishonestly of companies telling consumers their building is exempt from certain codes because of its agricultural purposes is no different than telling someone it’s ok to not wear a seat belt or bike helmet if law doesn’t require it. FS Construction Services is open with our customers when it comes to the step-by-step process of engineering their structures. You’ll find the detailed steps of our building process here. So we’d like to stress once again the importance of recruiting a builder that takes the safety of customers and integrity of their work to heart. With FS Construction Services, you’ll receive the utmost professionalism and sound product. Call us today at 866-551-3454 to discuss your building goals. When it comes to on-farm buildings, Sukup Manufacturing had the farmer in mind when introducing a new product line of customizable steel buildings. 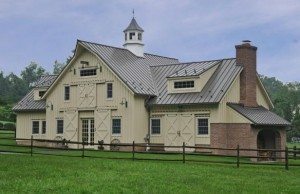 These steel buildings can be tailored to your agricultural and industrial on-farm needs and can serve as a complement to your existing post-frame wood buildings. 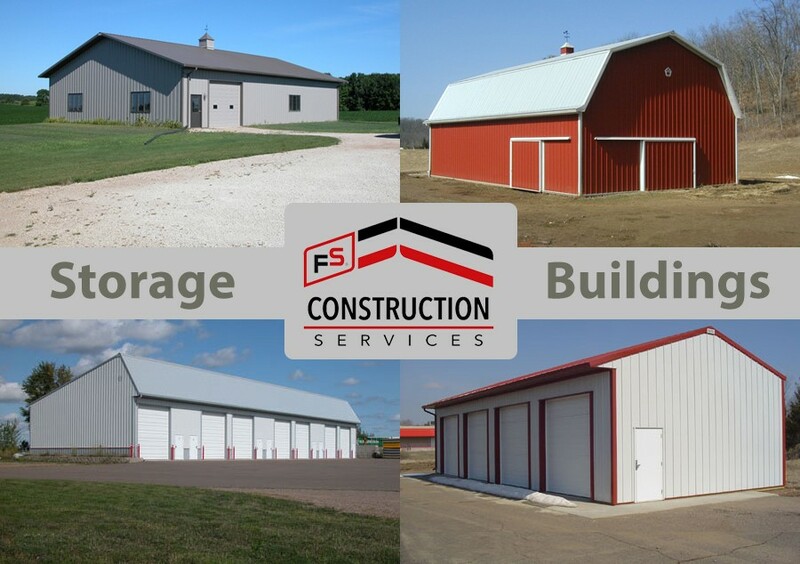 FS Construction Services will work with you to develop and build these structures that feature clear span construction and standing seam or screw-down roof panels. The design allows farmers to adapt their space to their specifications. If you’re looking to create a new shop and office area or need more room for today’s larger equipment – this is your building. The addition of this product line serves as just one more option to expand the functionality and efficiency of your farming operation. The standing seam roofs create a tight, durable and virtually leak-proof seal. Movable clips allow the roof to expand and contract with temperature changes, preventing stress on the roof components. The screw-down roof is economical and easy to install. FS Construction Services is here to answer the questions and walk you through the options and best steel structure for your needs. Give us a call today at 866-551-3454 with your questions. We look forward to working with you! Installing a metal roof and siding can be the attractive and economical solution to your problem when frustrated with the constant maintenance of your traditional roof and siding. Here are the most common benefits that we share with our customers interested in making the switch. 1. Energy Star Tax Credit: You can actually save money by installing Energy Star approved metal roofing products by Fabral. In 2011, the government issued tax credits up to $500 or 10% of materials used. FS Construction Services can walk you through the process. 2. Lifetime: With life expectancies of more than 30 years, installing a metal roof and siding may mean it is the very last roof you’ll ever need to put on your home or business. Colors do not fade and materials do not rust. 3. Color Visualizer: Choosing the color specifications of your roofing and siding couldn’t be easier with the Color Visualizer. Use the basic visualizer or upload a photo of your actual home or business for exact matching. Plus, you can see which Energy Star colors can be applied for credit. 4. Solar Savings: FS Construction Services can work to achieve Fabral’s solar roofing system for you as well so you can maximize your energy costs and see an ROI in just ten years. 5. Step-by-Step: Curious about what it takes to achieve a metal roof or siding? We have the step-by-step guide when it comes to installing the panels to your structure. So you’re in the know – the entire way through. If you still have additional questions or are looking to explore your options, give us a call at 866-551-3454. In the mean time, check out examples of FS Construction Services’ work in our Metal Roofing and Siding section. At FS Construction Services, we think it’s important that you’re aware of the entire building process for the structure you choose. Having a thorough understanding of the building’s progression gives the customer a stronger involvement in the building process. Knowing the progression of their particular structure provides a comfort, especially when it comes to expected completion date and assurance that all aspects of the structure’s integrity will be intact. FS Construction Services follows a strict start-to-finish building process set forth by Walters Buildings. This process is in place so no step is overlooked and each aspect gets the appropriate attention. 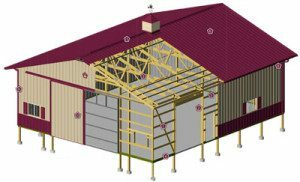 Whether you’re looking into a suburban, commercial or ag structure, the following steps are taken towards project completion. For an expanded, detailed view, please click the image to download. 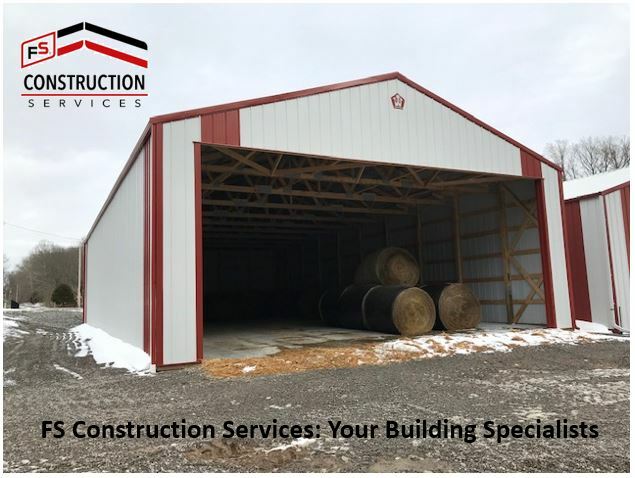 If you’re considering a suburban, commercial or ag structure, please contact Tom Marcheski in our Buildings and Construction Department at 866-551-3454.